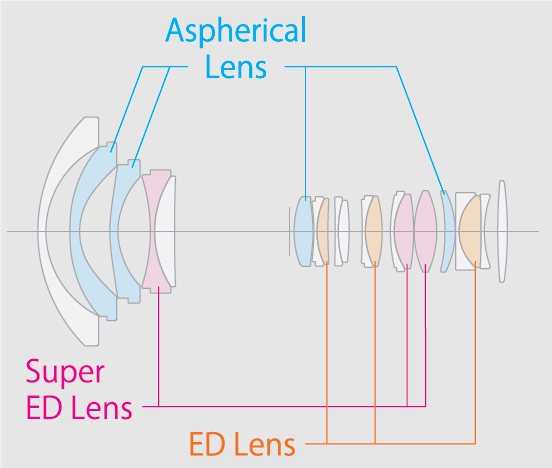 The following chart presents a comparison between several ultra wide angle zoom lenses designed for different types of detectors. Of course the Fujinon 8-16 mm doesn’t have a direct rival so it would be difficult to draw any biding conclusions. 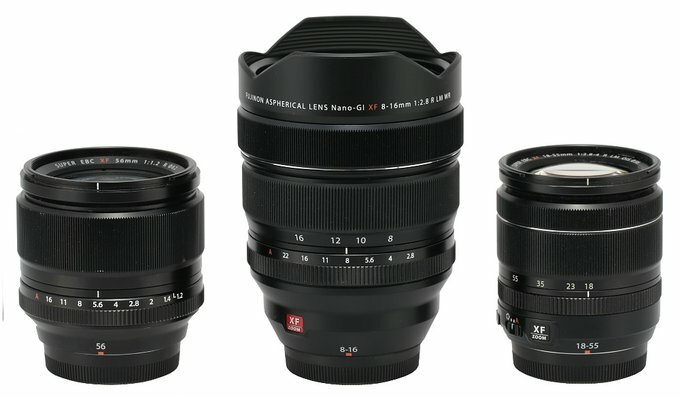 The tested lens is definitely lighter and smaller than the huge Nikkor 14-24 mm but, at the same time, it is bigger than other lenses designed for smaller sensors which we included in our chart. 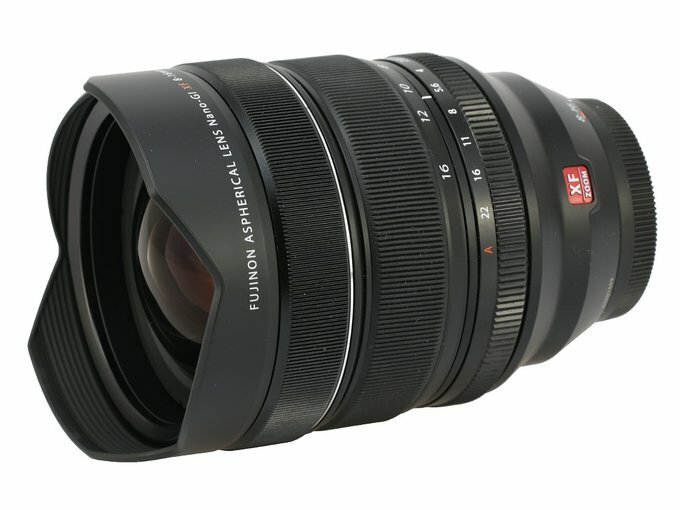 In the photo below the Fujinon XF 8–16 mm f/2.8 R LM WR is positioned between other X system lenses so the Fujinon XF 56 mm f/1.2R and the Fujinon XF 18–55 mm f/2.8–4.0. 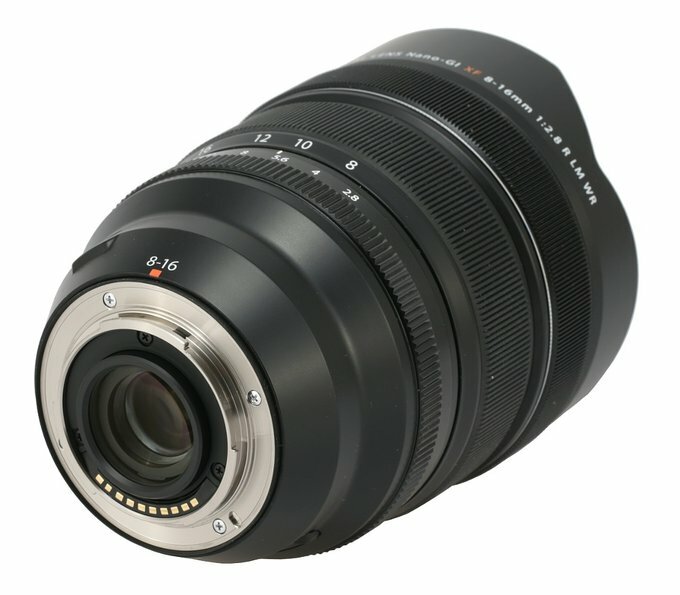 The tested lens starts with a metal mount and contacts which surround a rear element 25 mm in diameter. That element doesn’t move so the lens is sealed, no dirt or dust can invade the interior of the construction. An interesting feature- the rear element doesn’t hide inside the mount but actually sticks out. 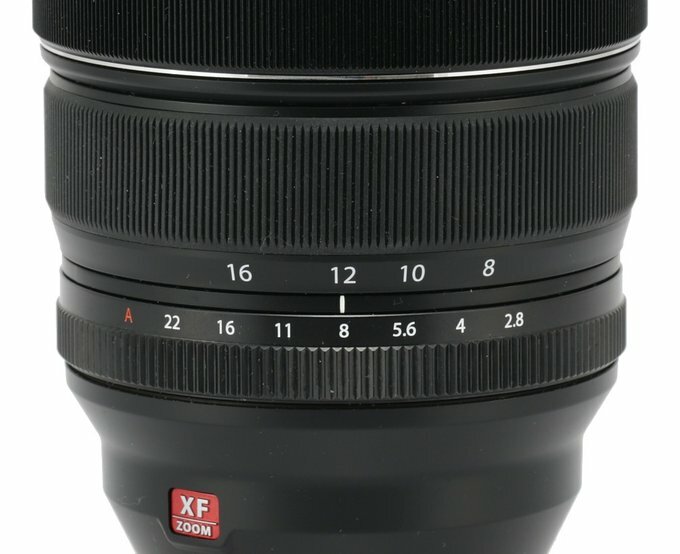 The proper barrel of the lens starts with a red square, making an alignment with a camera easier, and an inscription “8-16”. Further on and a bit to the left you see a plate with “XF ZOOM” written on it and then inscriptions “Made in Japan” and “Weather resistant”. An aperture ring is the next part of the barrel; it is 13 mm wide, most of its surface covered by ribbing. 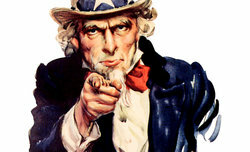 The aperture can be adjusted every 1/3 EV increment and it is a comfortable process. A significant part of the barrel is occupied by the 22 mm wide zoom ring, with rubber ribs covering most of its surface. Under that ring you can find focal lengths marking at 8,10,12 and 16 mm. The ring is well damped, it moves smoothly and evenly. The next part is a manual focus ring, 18 mm wide, almost completely covered by textured rubber. There is no scale of any kind next to it. The ring is a focus-by-wire construction and its quality of performance is faultless. If you turn it with a typical speed you need an angle of over 180 degrees to cover all the scale, more than enough to ensure you precise manual settings. Further on, the casing turns smoothly into a petal-type hood. The hood surrounds a huge, convex front element, 58 mm in diameter. The element sticks out the most at the 8 mm focal length and at 16 mm it hides about 1.5 cm inside the barrel. When it comes to optical construction you deal here with 20 elements positioned in 13 groups. The producers weren’t skimpy with special elements: there are four aspherical ones, three made of low dispersion ED glass and three others made of low dispersion Super ED glass. Inside you can also find a round aperture with nine diaphragm blades which can be closed down to a value of f/22 at the maximum. According to the producer the back surface of the two first elements is covered by the Nano-GI (Gradient Index) coating to eliminate any problems connected to ghosting and flare. Buyers get both caps and a soft pouch with the lens in the box. Still, in order to be honest, it must be said that for a lens costing almost $2000 the ‘soft pouch’ thing is a big euphemism. It is not a pouch, the term ‘wrapping cloth’ would be more appropriate – when you put the lens inside it is as well protected as if you just wrapped it. We find it a significant slip-up because even such producers as Canon or Nikon, which cannot be accused of spoiling their customers rotten with rich accessory kits, at this price-point often add very solid casings to the bundle. It’s enough to look at the Nikkor AF-S 14–24 mm f/2.8G ED or the Canon EF 100–400 mm f/4.5–5.6L IS II USM to know what we mean.